If you want to know what fish oil is, why people supplement with it, and how it can benefit you, then you want to read this article. No matter what your goal is–build muscle, lose fat, improve health–there are hundreds of supplements to choose from. And good luck trying to sort the wheat from the chaff. If you’re to believe the hype, many of these pills and powders have downright magical properties and are capable of performing downright miracles. Just one bottle of this, you’re told, will give you instant muscle gain. That one? It melts fat off your body. Those over there? They double your brainpower. And on and on. I guess that’s why so many people spend so much money on supplements. Well, if a part of you has suspected that the supplement industry is more smoke and mirrors than science and substance, you’re right. It’s an unregulated rough and tumble of a marketplace that’s more or less a playground for rent-seeking bums and pirates. There are supplements that have good science behind them and that can help you optimize your health and physical and mental performance. Take something simple like vitamin D, for example. It was long thought to be important for just bone health but we now know that it plays a crucial role in a whole host of vital physiological processes, and unless you spend a lot of time in the sun, supplementation is the only way to give your body what it needs. What are these molecules and why are they so important, you ask? What do they do in the body and what kind of benefits do they confer? And what about fish oil supplements? Which ones are good and which aren’t and why? Why Do People Supplement with Fish Oil? What's the Clinically Effective Dose of Fish Oil? What Types of Results Should I Expect with Fish Oil? Does Fish Oil Have Any Side Effects? What's the Best Type of Fish Oil? Fish oil is exactly what it sounds like: oil obtained from fish. Popular sources of fish oil are salmon, herring, mackerel, sardines, and anchovies. The reason it’s a “thing” as far as supplementation goes is the fats in these fish are a very good source of the nutrients mentioned above: EPA and DHA. You could just eat the fish, but you’d have to eat quite a bit every week to get enough of these vital nutrients. That is, if you were to completely remove these molecules from your diet, you would eventually die. Research shows that a combined intake of 500 milligrams to 1.8 grams of EPA and DHA per day is adequate, but additional health benefits can be seen up to a combined intake of 6 grams per day. Unfortunately, studies show that the average person’s diet provides just one tenth of the EPA and DHA needed to preserve health and prevent disease. Now, fatty fish aren’t the only way to increase your EPA and DHA intake–grass-fed met, free-range eggs, and vegetable oils are other sources. Omega-3 levels are much lower in meat and eggs than fish, though, and vegetable oils don’t contain EPA and DHA but instead contain a fatty acid called alpha-linolenic acid (ALA), which the body then converts into EPA and DHA. The problem with ALA, however, is the conversion process is very inefficient, so you would have to eat large amounts of ALA to supply your body with enough EPA and DHA. This is why many vegans have omega-3 fatty acid deficiencies. This section is going to be fairly long because, well, there are many, many benefits to be had with fish oil supplementation. Studies show that fish oil can reduce the risk of developing type 2 diabetes. The exact mechanisms in play are still being investigated, but researchers believe it’s at least partially due to the fact that fish oil can improve insulin sensitivity (which is impaired in people with type 2 diabetes). Fish oil also reduces risk factors associated with a particularly nasty metabolic disease: metabolic syndrome. Research shows that omega-3 fatty acids are effective in preventing strokes. The likely mechanism for this is the ability of EPA and DHA to prevent thrombosis (blood clotting). The anti-inflammatory properties of EPA and DHA are well established, and this can help you in many ways. And in people that have such diseases, supplementation with fish oil can decrease their activity and reduce the need for anti-inflammatory drugs. Reducing levels of inflammation also helps to reduce joint pain, which is why studies show that fish oil is an effective joint supplement. Studies show that fish oil can improve symptoms of depression, anxiety, and stress. Scientists have isolated several different mechanisms that are responsible for these benefits. The first is the reduction of inflammation, which we covered above, and which has positive effects on the brain. Another mechanism is the influence of omega-3 fatty acids on brain derived neurotrophic factor, which is a protein that protects the health and enhances the function of the brain. Another possible mechanism relates to the abundance of DHA in the membranes that envelope the brain and spinal cord, where it plays a key role in maintaining membrane integrity and fluidity. It’s also possible that EPA exerts some of its mood effects by improving blood flow, thereby increasing the supply of nutrients to the brain. Studies show that EPA and DHA have a beneficial impact on cognitive performance, including memory, reaction time, and attention. Omega-3 fatty acids are also beneficial in maintaining brain health in people of all ages. For example, it’s known that adequate DHA intake promotes healthy brain development in children and it’s also known that omega-3 fatty acids protect against cognitive decline in older adults. The exact mechanisms responsible for these benefits aren’t fully understood yet, but the lowering of inflammation appears to be a factor. It’s also hypothesized that EPA and DHA may positively influence the activity of various neurotransmitters, which play a key role in learning, mood, and other important cognitive functions. Studies show that when fish oil is included in a healthy lifestyle intervention, it can help to reduce waist circumference and decrease fat mass. Surprisingly, then, providing your body with adequate omega-3 fatty acids can help you lose weight and keep it off. It accomplishes this in several ways, including reducing appetite, improving circulation and thereby nutrient delivery to skeletal muscle, and augmenting muscle gain, which enhances fat oxidation and energy expenditure. Studies show that omega-3 status affects how your muscles respond both to the food you eat and exercise you do. 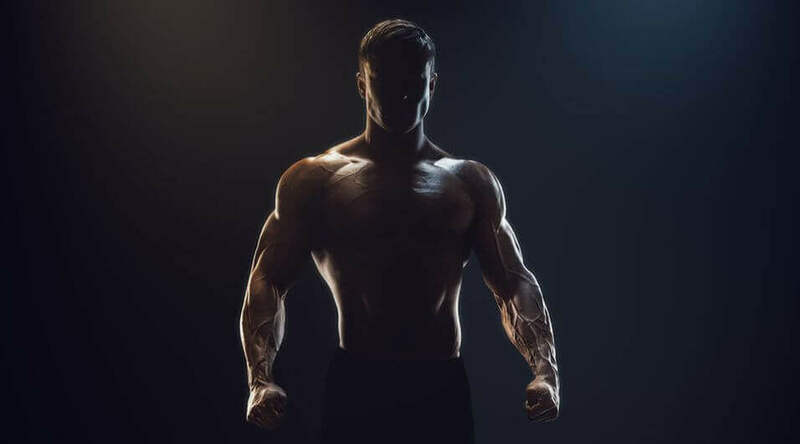 This makes sense when we consider the fact that omega-3 fatty acids enhance muscle protein synthesis, which is a key process involved in building muscle. These effects have been seen both in younger and older adults, which is why it is often prescribed to mitigate the muscle loss that occurs with age. Furthermore, supplementing with fish oil may be particularly beneficial if you’re injured because it will help protect against muscle mass loss. EPA and DHA have also been shown to reduce delayed-onset muscle soreness (DOMs), which can help you train more frequently and continue to progress in your workouts. Omega-3 fatty acids may also improve skeletal muscle health, and the healthier your muscle is, the better your metabolism will work. One of the reasons for this is skeletal muscle plays a big role on how your body processes glucose (blood sugar), accounting for approximately 30% of post-meal glucose disposal. Thus, maintaining skeletal muscle health is crucial to maintaining stable blood glucose levels, which is crucial to your overall metabolic health. What’s the Clinically Effective Dose of Fish Oil? The clinically effective dose depends of the goal of supplementation. For general health, a combined intake of 500 milligrams to 1.8 grams of EPA and DHA per day is sufficient. For reducing muscle soreness, you want a higher combined intake–around 3 grams per day. Like all natural supplements, don’t pin unrealistically high expectations on fish oil. That said, if you’re eating a healthy diet and exercising regularly, supplementing with fish oil can definitely help you achieve your fitness and body composition goals faster. Side effects are rare when fish oil is taken at the recommended doses. However, fish oil can reduce blood clotting and therefore is contraindicated if you’re taking blood-thinning medications, asprin, warfarin, or clopidogrel. If you’re using any of these medications, it’s best to check with your doctor before supplementing with fish oil. In addition, fish oil should not be taken alongside fat-blockers (which probably don’t work anyway). What’s the Best Type of Fish Oil? If you’re all fired up to buy some fish oil, make sure you read this section of the article because not all fish oil supplements are the same. A triglyceride is a molecule that consists of three fatty acids and one molecule of glycerol, which is a colorless, odorless substance found in fats and oils. This is the natural (unprocessed) form of fish oil. An ethyl ester fish oil is created by processing natural triglycerides to replace the glycerol molecules with ethanol (alcohol). This removes impurities and increases the amount of EPA and DHA in each gram of oil. The reesterified triglyceride form is similar to the natural form and is created by using enzymes to convert the ethyl ester oil back into triglyceride oil. This provides significant benefits, which we’ll talk more about in a minute. Out of these three forms, you’d probably assume that a natural triglyceride supplement is your best choice. Well, while natural triglyceride oils are absorbed well by the body, they can have much higher levels of contaminants than ethyl ester and reesterified triglyceride oils (due to the low level of processing). Furthermore, natural triglyceride oils are lower in EPA and DHA per gram than ethyl ester and reesterified triglyceride oils, which means you have to take more to achieve the desired results. This can be expensive both in terms of dollars and calories. Now, ethyl ester oils are the most popular, but that’s not because they’re the best. They’re just the cheapest to produce. They have significant downsides, as well. First, studies show this form of fish oil isn’t absorbed well by the body. It also releases ethanol (alcohol) into the body, which needs to be processed by the liver. This can cause various side effects, including burping, flu-like symptoms, upset stomach, strange tastes in your mouth, and skin rash. Ethyl ester fish oils also oxidize (go bad) more quickly and easily than triglyceride oils. Not many companies sell reesterified triglyceride oils, though, because they’re the most expensive to produce (they cost 30 to 40% more than ethyl ester oil, for example). As you now know, one of the first things you want to look at when you’re considering a fish oil supplement is the form of the oil. Next, you should look at the amount of EPA and DHA in each serving. Lower-quality fish oil supplements might have as little as 150 to 200 milligrams of combined EPA and DHA per pill, which means you would have to take a handful every day just to get enough omega-3s. This isn’t just an expensive hassle–it also means swallowing between 10 to 15 grams of fat per day that you won’t get to eat or enjoy. Contaminants in fish oil is another important factor that you need to consider. There are many man-made chemicals that tend to persist in the environment and also in organisms. These are known as “persistent organic pollutants” (or POPs), and they’re found in a variety of products, ranging from pesticides to solvents to pharmaceuticals and industrial chemicals. As POPs are resistant to environmental degradation, they move through our soil, plants, water, and atmosphere, and are able to travel long distances. They’re captured particularly well by oils and fats, which means that after making their way into our bodies via the food we eat, medicines we take, water we drink, and air we breathe, they can become lodged in our fatty tissues. This is a serious concern because many of these chemicals are known to increase the risk of various types of disease including type 2 diabetes, cancer, and obesity. They can also disrupt our reproductive, central nervous, and immune systems. We can also be careful about the fish and fish oils that we consume. Due to a process known as biomagnification, large, predatory fish contain much higher levels of contaminants than small, non-predatory fish. This is why the National Institute of Environmental Health Sciences recommends that we avoid fish like king mackerel, swordfish, and bigeye and ahi tuna, and limit our intake of fish like grouper, sea bass, and white tuna. Instead, we should opt for fish with much lower levels of pollutants like cod, halibut, skate, and snapper. Studies also show that farmed fish tend to have higher levels of toxic substances than wild-caught fish, primarily due to the chemicals in the fishmeal used to feed and raise the fish. 1. The type of fish the oil was sourced from. Research shows that small, cold-water, nonpredatory fish like anchovy, sardine, and certain types of mackerel are the “cleanest” sources of oil. 2. How the oil was processed. As discussed earlier, natural triglyceride oil can contain higher levels of contaminants than ethyl ester and reesterified triglyceride oils. The ideal fish oil supplement, then, would be sourced exclusively from low-toxicity fish and would be the reesterified triglyceride form, which was processed to remove impurities and toxins and concentrate the amount of EPA and DHA in each serving. I think that we as consumers should also care about how the fish are harvested because several common fishing practices are extremely destructive to the population and habitats of marine life. One such practice is “bottom-trawling,” and it involves dragging large nets fitted with rubber tires or rollers along the ocean floor, including coral reefs, where fish congregate. As you can imagine, these rollers are very large and very damaging to the delicate coral ridges they pass over. According to the World Wide Fund for Nature, scars up to 4 kilometers long have been found in reefs of the northeast Atlantic Ocean. In heavily fished areas off southern Australia, 90% of the surfaces where coral used to grow are now bare rock. Two other ways many reefs are destroyed are cyanide and dynamite fishing. Cyanide stuns fish but doesn’t kill them, making them easy to collect. It also kills the organisms that grow on the coral, transforming the vibrant “rainforests of the sea” into aquatic deserts. Fish killed by dynamite float to the surface, where they can be simply scooped up. The explosions also reduce underwater environments to rubble. Overfishing is yet another harmful practice, which occurs when fish are removed from the sea faster than they can be replenished through reproduction. The good news, though, is that we don’t need to destroy ecosystems to get our food and supplements, and we as consumers can make a difference by supporting well-managed, sustainable fisheries. Sustainable policies and methods include prohibiting fishing around reefs and regulating how certain fish can be caught, how large fish must be to be removed from the ocean, and the amount of an individual species that can be caught each year. And that’s a very hard product to find, which is why my team and I set out to make it ourselves. We vetted dozens of oil manufacturers and finally found one that checked all those boxes, and TRITON was born. The oil in TRITON is reesterified triglycerides and sourced from deep-water Peruvian anchovies and sardines caught by fisheries that are approved by Friend of the Sea. It contains 2,400 milligrams of EPA and DHA per serving, and it has been processed using enhanced molecular distillation to reduce toxins and chemicals to meet the stringent European Pharmacopoeia Reference Standards (EPRS) as well as the voluntary standards set by the Council for Responsible Nutrition (CRN) and Global Organization for EPA and DHA Omega–3 (GOED). Heavy metals are dense metals, including cadmium, mercury, lead, and arsenic, that can be harmful to human health. These metals are present throughout nature but can become concentrated as a result of human activities like manufacturing, mining, and vehicle emissions. The EPRS and CRN recommend that total heavy metals in fish oil supplements should be at or below a level of 0.1 parts per million. Dioxins are a group of highly toxic chemicals that are byproducts of various industrial processes. They are POPs, and we are exposed to them in many ways, including soils, sediments, food, plants, water, and air. The EPRS and CRN recommend that dioxins in fish oil supplements should be at or below a level of 2 parts per trillion. PCBs are chemicals that were once popular in a variety of industrial uses, including weather- and fire-proofing and the insulation of electronics. Dioxin-like PCBs refers to 12 of these chemicals that have dioxin-like properties. PCBs were banned in the 1970s after being linked to cancer, but as they persist in the environment and bioaccumulate, we are regularly exposed to them. The CRN recommends that dioxin-like PCBs and total PCBs in fish oil supplements should be at or below a level of 3 parts per trillion and 0.09 parts per million, respectively. PAHs are chemicals formed from the incomplete combustion of plant or animal matter, or carbon fuels, such as coal or petroleum. Automobile exhaust, industrial emissions, and smoke from burning wood, charcoal, and tobacco contain high levels of PAHs. They are also found at low concentrations in some special-purpose skin creams and antidandruff shampoos that contain coal tars. PAHs are abundant in our environment, and while our bodies are adapted to deal with a certain degree of low-level exposures, research shows that these chemicals can increase the risk of cancer, cardiovascular disease, and poor fetal development. The EPRS, CRN, and GOED don’t contain recommendations for PAH levels. 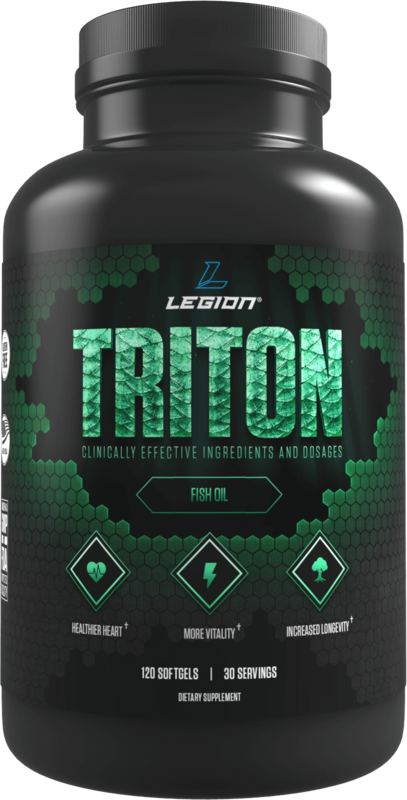 TRITON is also gluten-free, dairy-free, and sugar-free, and it contains no artificial colors, sweeteners, or flavors. If you’re one of the rare people who eats several servings of nonpredatory fatty fish per week, or if your diet contains outsize amounts of ALA, then you may not benefit from taking a fish oil supplement. If you’re like most people, though, and you don’t eat much seafood or high amounts of vegetable or nut oils, then you can rest assured that your plasma EPA and DHA levels are lower than you want them to be. And when that’s the case, taking a fish oil supplement can confer a plethora of benefits, ranging from reducing the risk of developing disease to decreasing inflammation and elevating mood, cognitive performance, and brain health, and even improving body composition. In fact, if I could take just one supplement, it would be a toss-up between vitamin D and fish oil. It’s just that important. What’s your take on fish oil supplements? Have anything else to share? Let me know in the comments below!